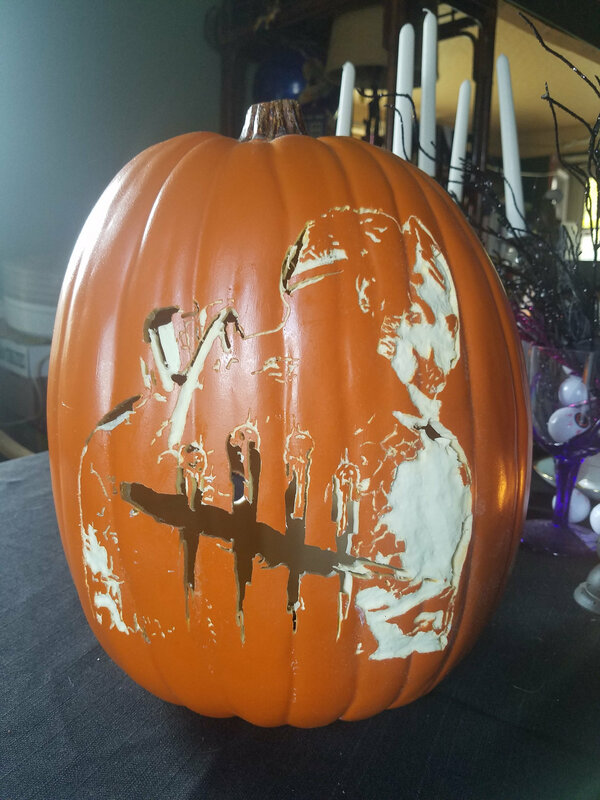 I carved (more like drilled, if it still counts) the cover art into a faux pumpkin so I can keep it for.ev.er. EDIT: Just to add another photo, here it is unlit to see the cuts better. I WAS gonna participate in this contest, but after seeing this? You won man. You won. d a m thas go. od. When a tattoo artist meets a pumpkin? Jeez, this is really good. Best one here! @Doctor12Disco Seeing your name plus "Trapper" made me think of a Trapper with disco cosmetics. 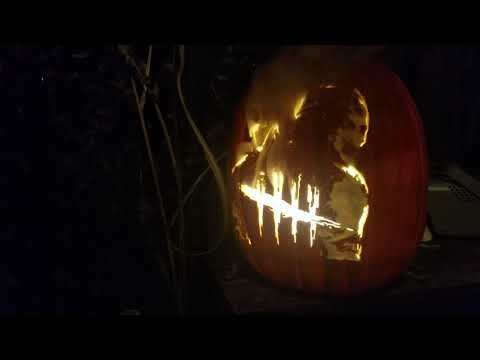 Still, excellent work on the pumpkin. Oh my lord, that's an awesome one! Is that styrofoam decorative pumpkin? @Houndsystem yes, it is a craft pumpkin from Michael's. I carve all my pumpkins on those. so good are you a tattoo artist? i saw someone comment and it had me wondering. 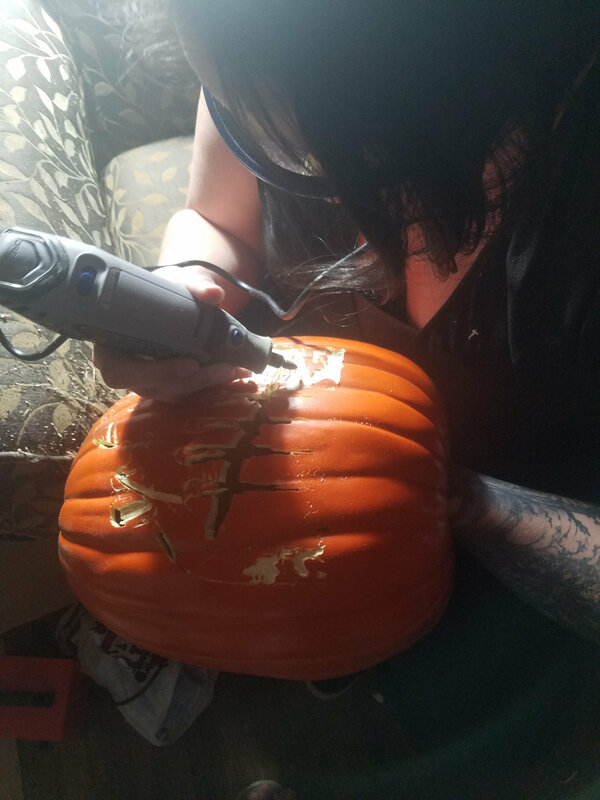 No, not a tattoo artist, just an avid pumpkin carver. Occasionally I delve into pyrography. I burned the map of Skyrim into a slab of wood. Thank you! I got this one from Michael's. I used to get them from JoAnn, however the orange skin peels so easily, even with a scratch. The Michaels ones are better and they come in orange, white, and black, and different sizes as well. Welp. That's absolutely amazing. 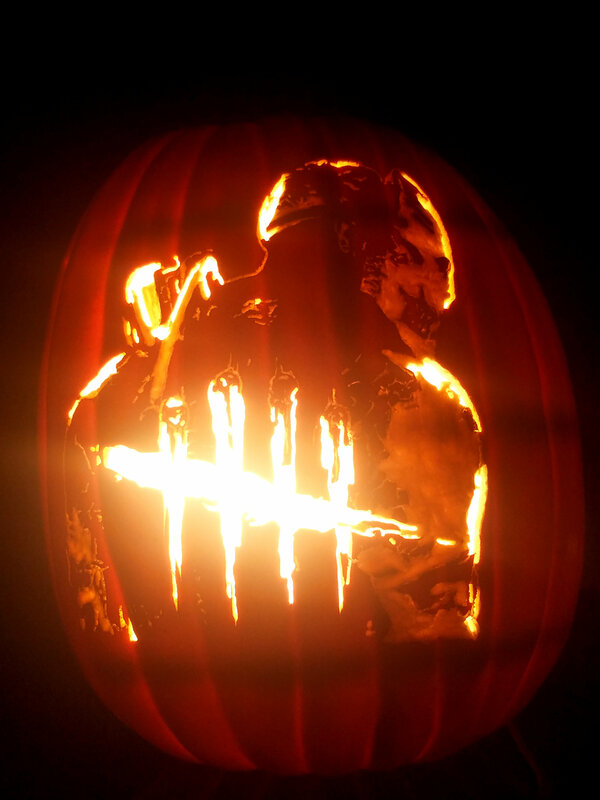 Mine is similar, in that I tried to do the cover art trapper, but it has significantly less detail. Very well done. Happy Hallowed Blight, people of the fog!